At Arkwright Insurance, we offer various levels of cover to find you the best deal on a car insurance quote that’s specifically tailored to you and your unique requirements. We are proud providers of car insurance, serving many satisfied customers across the UK. While nobody ever wants to think about accidents on the road, sadly it's a fact that sometimes they can happen completely unexpectedly. By insuring yourself and your car, you can benefit from having the peace of mind that if you should ever run into any trouble, you'll have the financial protection in place to cover any accidental damage. Insuring your car is a legal requirement for all motorists. In fact, having a vehicle on the road without valid insurance is a highly punishable offence. Unless your car is registered with a Statutory Off Road Notice (or SORN), you'll need to make sure you have an insurance policy in place. The cost of your insurance premium will vary from others depending on certain factors. These will generally include the type of car, how old the car is, what you use it for, your driving history, info of any additional drivers and even where you live. When you look for a car insurance policy with Arkwright, we can use this information to provide you with the best possible quote for a car insurance policy that's specific to you and your needs. Third-party only cover: This is the minimum legal requirement for any car insurance policy and is generally the least expensive. A third-party only (or TPO) policy covers you for any injury or damage to another person or their property if you end up in an accident. However, you won't be able to make a claim for any injury or damage to yourself or your own property. Third-party, fire & theft cover: This will insure you for any third party damage as a TPO policy outlined above. However, you also benefit from additional cover if your car gets stolen or damaged in an unexpected fire. Your TPFT policy will generally protect you against any significant financial loss you would otherwise face when repairing or replacing your car. Comprehensive cover: This gives you the most wide-ranging cover, including the above cover of a TPFT policy. On top of this, you'll be able to make a claim if you're injured in an accident, for damage to your vehicle and even windscreen repairs or replacements. You may be able to receive a courtesy or replacement car if yours is under repair or destroyed. Comprehensive policies are generally a bit more expensive, but they offer complete peace of mind that virtually everything will be covered if the worst should happen. Most car insurance policies are offered on a 12-month period. However, for drivers needing cover on a more temporary or flexible basis, we can provide a short-term cover policy that matches your needs. This is useful if you need to insure a loaned or hired car for a fixed period of time, ranging from one day to several months. Through a temporary car insurance policy, we can make it possible for you to insure a car only for as long as it's needed. At Arkwright Insurance, we're committed to helping save you time and money by providing you with the best possible quote in a matter of moments. Through our online quote application, we can provide you with a car insurance quote that's geared specifically towards you and your vehicle. If you've already received a quote elsewhere or you're facing a hefty renewal fee from your current insurer, we will aim to find you a cheaper quote for a new policy based on the same criteria. Simply fill out our online quote application form by clicking the "Get a quote" button. Alternatively get in touch with our team on 01204 392 525 to discuss the specifics of your situation and get a tailor-made quote for your car insurance. 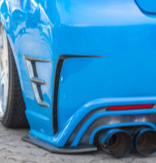 We can also provide policies for more specialist types of car insurance, including classic, vintage and luxury vehicles, as well as cars with modifications. Take a look at our Specialist Insurance types below for further information. We can insure cars that have been modified to improve performance. Find cover for your imported car if you're struggling to find its vehicle group in the UK. If you've assembled a car by yourself, we can insure you for potential problems. Left hand drives in the UK may be uncommon, but it's still possible to find a manageable insurance quote. Protect your prized possession with a higher level of insurance cover. Even the older classics need a bit of care and attention to keep things running smoothly. Whether it's a company car or your own car primarily used for business, make sure you have the right cover. You might expect higher insurance costs with a super car, but Arkwright can help you to find the right deal. 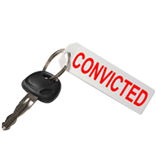 Driving a car with motoring convictions doesnâ€™t mean you can get value for your car insurance. Insurance premiums for senior and mature drivers can differ because of a slightly higher risk of accidents. Just passed? Find out the factors behind Young Driver Car Insurance. 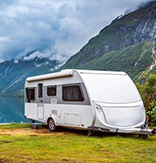 Insurance policies that could save you money if your static caravan or its contents are damaged even when it is left empty. 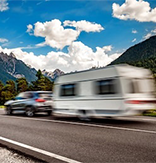 What is included in camper van insurance policy? For families with several cars, we can help you to find a tailored policy to meet your specific needs. 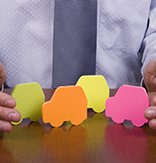 Multi-car insurance policies are tailored to meet your specific needs on an individual basis. When you call Arkwright Insurance, a member of our experienced team will ensure that we supply a policy tailored just for you. We go beyond the usual criteria of your age, your car's condition, location and expected mileage to provide you with appropriate cover to perfectly match every little aspect of your specific circumstances.